Something I wanted to speak about here on my blog is working out and who I'm using as inspiration to work out. I used to follow Lucy over on Youtube after seeing Anna Saccone Joly's results from having Lucy as a personal trainer; I thought it was incredible how she managed to tone up and look amazing after having two children. Now, I know I haven't had children but I wanted to tone up the way she had so I followed Lucy's workouts for a good few months. However, I began to find Lucy's workouts quite repetitive and I wasn't seeing any changes, even after weeks on end. I decided recently to try out Alexa Jean's workout plans, so I bought her full bundle and thought I could pick and choose which plan to do for each month etc. I started off doing her Sore to the core 1-4 week plan, and after a week I was bored. I felt motivated for the first week and I didn't look forward to working out following her plans after that. Although I enjoyed her workouts and I could feel the changes these workouts were making to my body as I felt so much healthier and I always felt amazing after working out, I just got bored. So my question to whoever's reading this who works out on a regular basis; how do you stay motivated to continue every day? What pushes you to carry on? I'm stuck in this circle of wanting to do it but not wanting to do it and I don't know how to get out of it without feeling rubbish! My aim is to start again from next Monday, a new month and a fresh mind. I can do this and I know you can too! 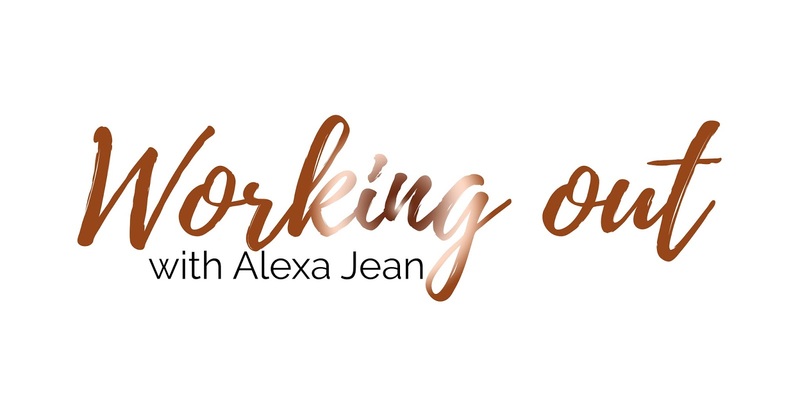 If you're looking for a workout plan which you can follow which shows results, definitely check out Alexa Jean!